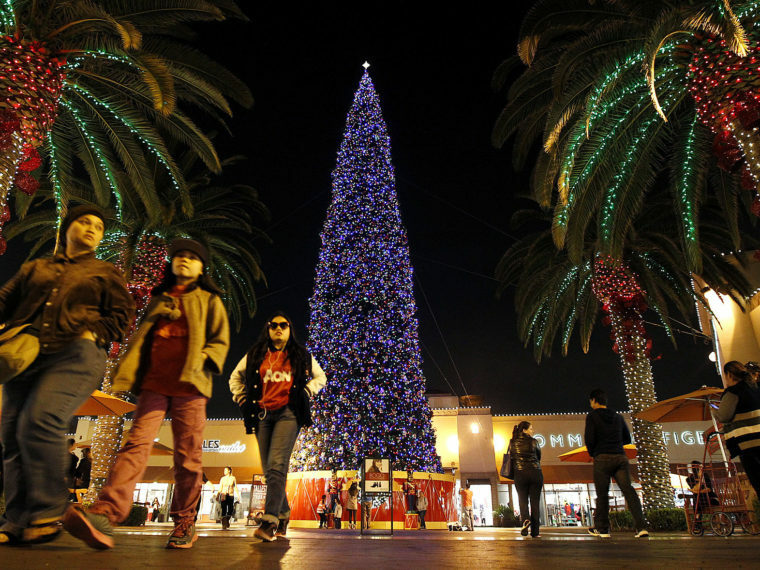 Southern California may not get the full winter chill as other areas of the country, so when it comes to the holidays, Los Angeles goes all out. With our constant sunshine and palm trees, we take the holidays very seriously, from activities to Christmas trees to shopping. Because really, there’s no better way to get into the spirit of the season than finding the perfect gift for that special someone. And if you happen to get lucky and discover a gift for yourself along the way, just remember, you deserve it! Making my list, checking it twice. 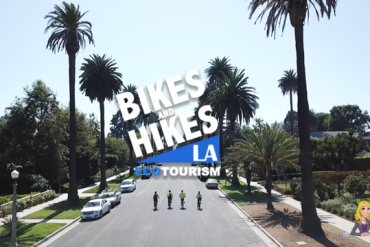 Read on for 2016’s Los Angeles Holiday Guide! 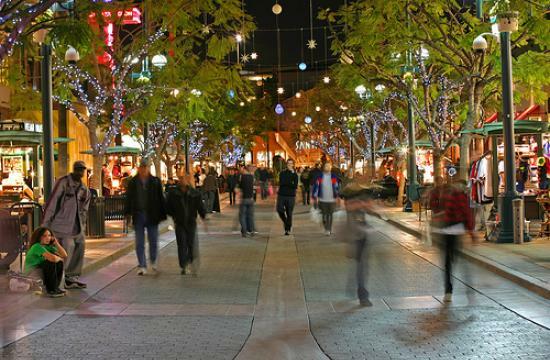 The Grove is one of LA’s most popular outdoor shopping malls, and during the Holidays it transforms into a beacon of festivities! 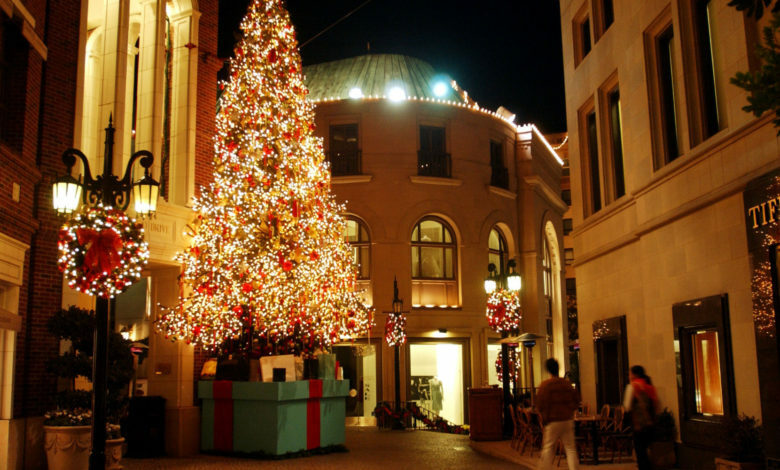 As if the stores alone couldn’t put you in the spirit, The Grove is home to a fully lit 110-foot tree, a kid-friendly trolley, and many live music performances. Store highlights include Nordstrom, American Girl Place, and Topshop! 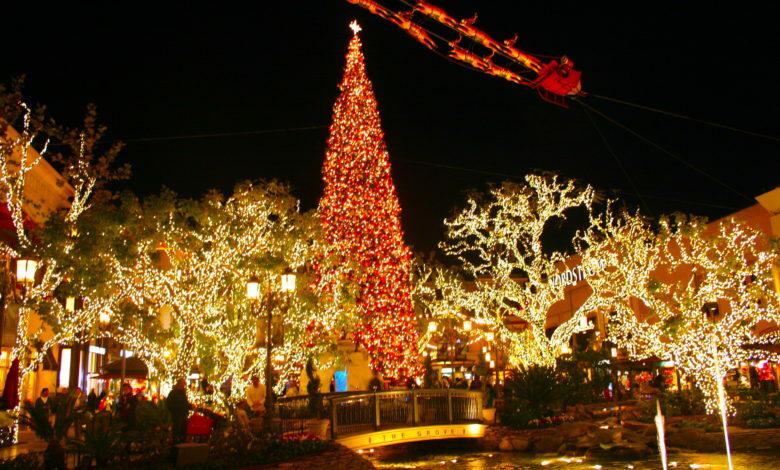 Though you might not expect snow in LA, The Grove provides snow—where it “snows” for an hour every night! Get ready to melt as you watch kids experience “snow” for the first time and squeal with delight! There are several options for family fun activities to do around the holidays, but none are brighter or more dazzling than the annual LA Zoo Lights! 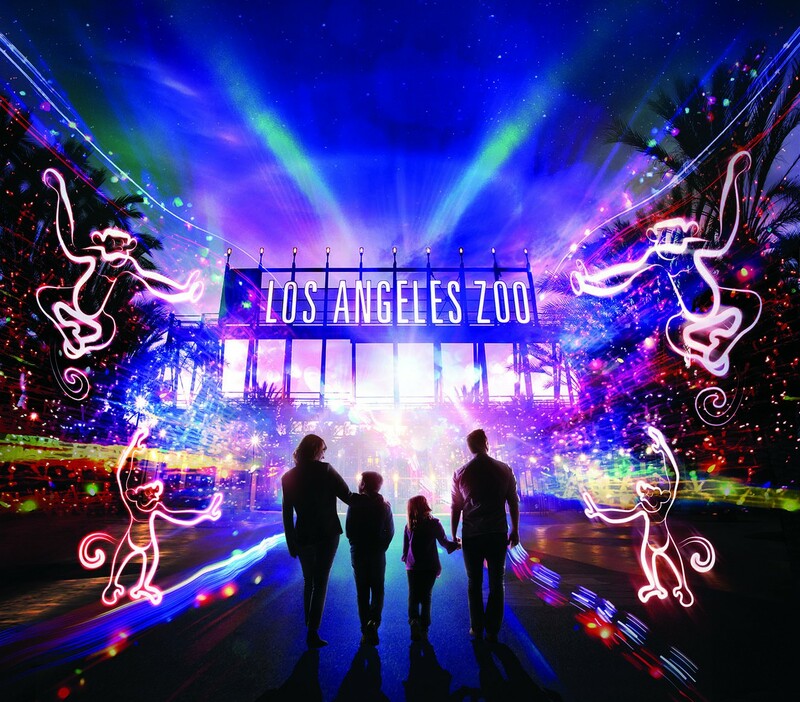 Starting November 18th and going through until early January, enjoy the LA Zoo decked out in thousands upon thousands of LED lights. Flurries of illuminated snowflakes, 3-D animated projections, and glittering light tunnels as well as animated animals, like monkeys and elephants, are brought to “life” creating a magical world. 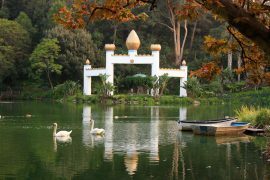 Offering 60 and 90 minute self-guided tours, this is truly an enchanting experience. 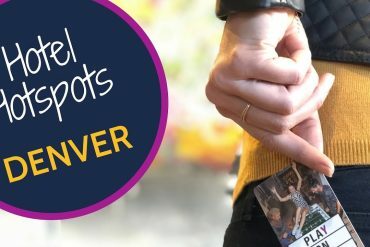 You might even spot a reindeer or get a picture with Santa! Each year, the event gets bigger, better, and brighter than the season before. 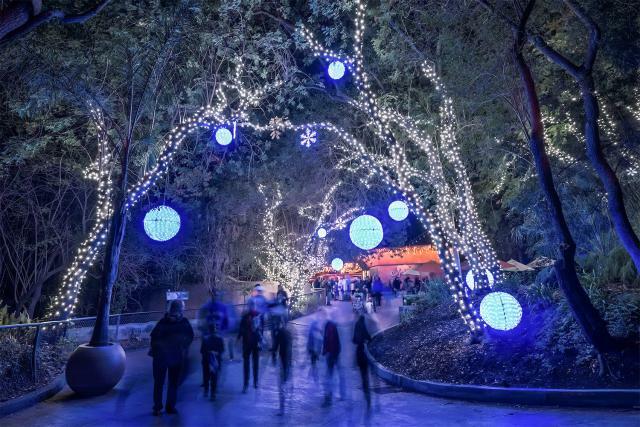 The Zoo Lights is a not-to-be-missed nighttime holiday light event! It doesn’t get more spectacular than the world’s most famous shopping destination during the holidays! With hundreds of thousands of lights lining the median of Rodeo drive, you’ll feel like royalty as you stroll the famed street. The elegant décor sweeps you into the season where you can find a gigantic Holiday Tree at the intersection of Rodeo and Wilshire. While you enjoy stores like Cartier, Prada, and Brooks Brothers, your kids will be entertained by trolley rides, Santa and Mrs. Claus visits, and roaming carolers. 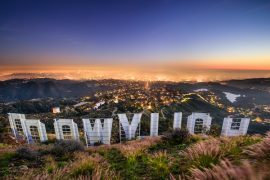 Make Los Angeles your winter wonderland and go ice skating this season! There seems to be an outdoor ice rink in nearly every neighborhood, from ICE at Santa Monica to Downtown on Ice to the LA Kings Ice Rink at the Staples Center. These family-friendly rinks offer more than just skating—like wintry drinks, comfort foods, to meeting Santa. An added bonus, most of the rinks are located within walking distance from prime shopping destinations, so you can shop and skate! Even the Holidays can make their way to the beach. Just blocks away from the Pacific Ocean, The 3rd Street Promenade and Santa Monica Place turn into a complete winter wonderland. With carolers, twinkling lights, a large Menorah, and even a towering Holiday Tree, you can pop into stores ranging from Louis Vuitton to The Disney Store to Urban Outfitters. Need a break from shopping? 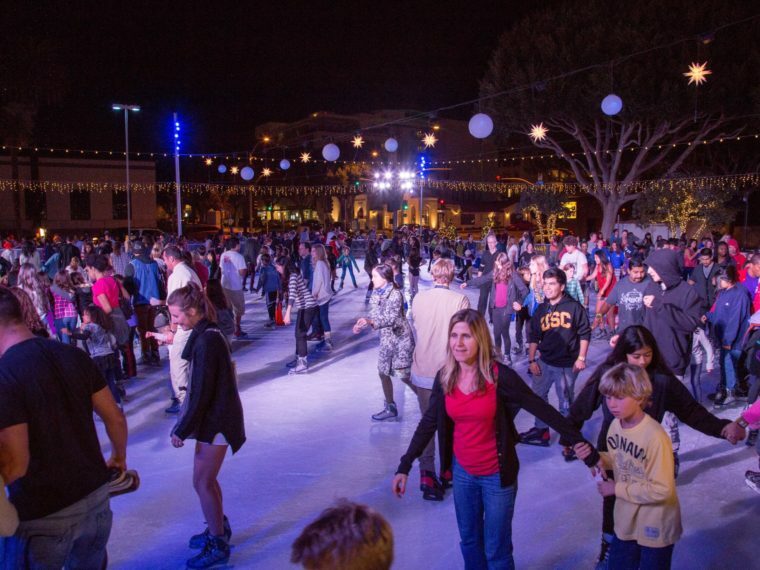 Head over to ICE at Santa Monica, an outdoor skating rink just two blocks away on 5th and Arizona, for the ultimate activity of the season. Feel as though you’ve escaped to a small-town fishing village with the 53rd anniversary of the Marina Del Rey Boat Parade. 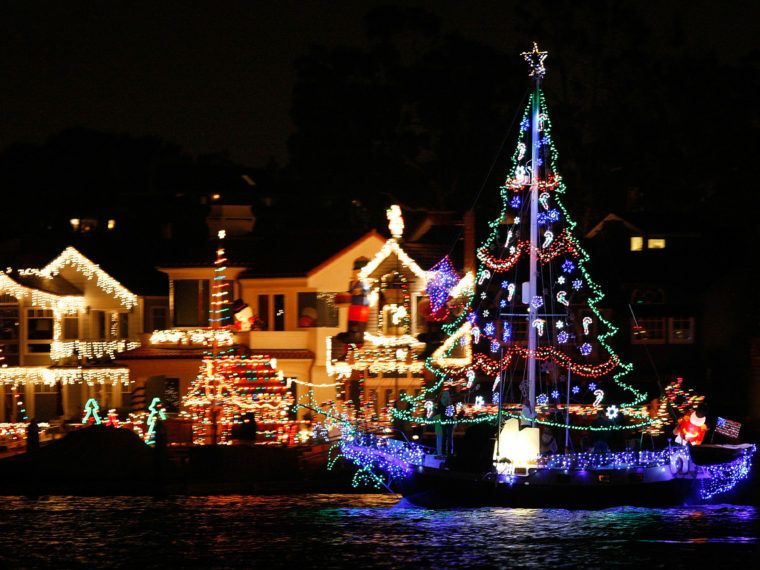 Bring a blanket and gather around Fisherman’s Village to watch the competition, as 70 boats glide through the marina with holiday lights and decorations. Categories include Best Theme, Best Animation, Best Band, Best Lights and more. This year the 2016 Parade takes place on Saturday, December 10th. Festivities begin at 5:55pm with fireworks, and the boat parade starts at 6pm, rain or shine. Even cooler, Florence Henderson is this year’s Grand Marshal. Celebrate the Holidays in true Hollywood fashion. Where else can you find a large Holiday Tree with the famous Hollywood Sign in the background? 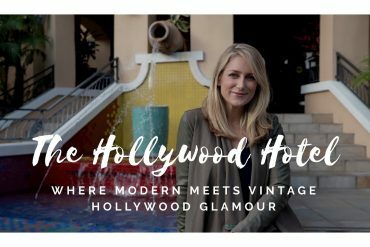 Home to the Walk of Fame and hundreds of celebrity handprints and signatures in front of the TCL Chinese Theater, during the holidays the Hollywood and Highland Center turns into a one-stop-shop for your all tourist and shopping needs! From knick-knacks to high end fashion, there are shops galore. 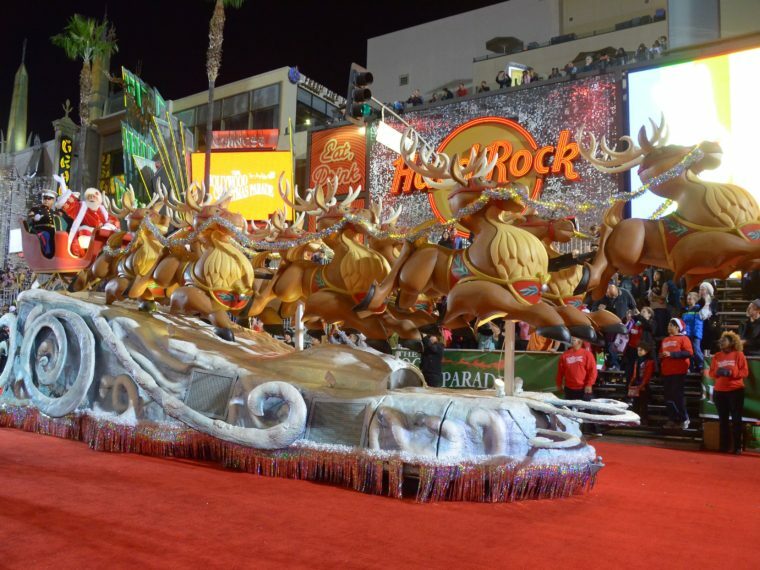 This is also where the Hollywood Christmas Parade kicks off the season every year the Sunday after Thanksgiving. 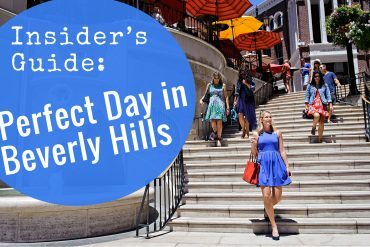 Located in Commerce, just 10 miles south of Los Angeles, it’s the closest outlet shopping for Angelenos. They always have amazing deals from top brands with over 130 stores! Every year they host a tree lighting ceremony along with a free concert to kick off the season in early November. Last year they held the record for the world’s tallest Christmas Tree (standing at 115-feet) and the world’s largest bow (36-feet wide and 12-feet tall and covered in a half-ton of glitter). Plan to get your shop on with the biggest deals. Because, yes, bigger IS better! A total thrill for the entire family, Universal Studios is brimming with holiday cheer! Combine a visit with a trip to Grinchmas at Universal Studios with the nearby Citywalk. 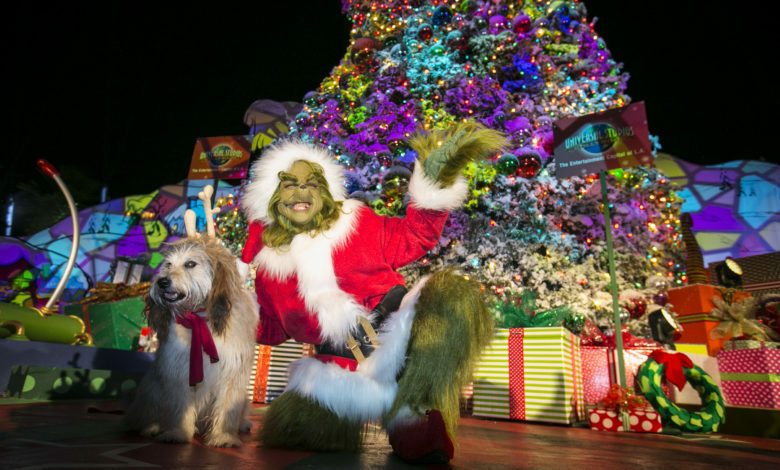 Grinchmas days at the Universal Studios star December 5th and end January 3rd. Take photo with The Grinch the 60 foot tree, and listen to the Who-ville Singers caroling their way throughout the park. Citywalk is equally as festive. With street performers and numerous live concerts throughout the season, the Citywalk has a huge tree covered in over 200,000 LED lights that pulse to the music. Santa can be found daily, and there’s “snowfall” nightly throughout the season. It’s the perfect place to find escape into the season with rides, music, gifts galore, and stocking stuffers for your kids!